My focus will be on make my product noticed to the consumer, I will be using the most competitive areas of the technology, and some traditional methods that can still be very effective by our time's society TV Ads, billboards and celebrities magazine for older generations. Ads in all kind of sports areas will be a very good source to keep the attention of customer on their 30ths. Apps- Advertising like you-tube, facebook, snap-chat, computer or cell phone and other devices will be very effective to tool to young consumers and people that are very connected to social- media. I really want to have special attention in the area I will be promoting my product and focus on what kind advertising will work the best with my target market. 1. Improving the Effectiveness of Your Website, You've likely invested a great deal into making sure your website does the best possible job it can do at converting prospects into the customers. If you if you haven't had a wedsite audit done, now is the perfect opportunity to do so. 2. Improving the Effectiveness of Your Email Communications. There's probably nothing worse in the world of customer acquisition and retention via email than getting canned responses or making sure the wedsite does all the heavy lifting, only to find the email communications sorely lacking. Improving the Effectiveness. Social media is the last on the list of marketing channels where effectiveness outweighs difficult to implement- and yet for many businesses, social media is more of an afterthought. That's because, for those that have been in business for quite some time, the idea of communication being this "two-way street" is very unnerving. Guido Heffels (47) is an owner, Chief creative director and one of the co-founders of HEIMAT Webeagentur, Gmbh Germany In the second year of its existence, the advertising agency established at the end of 1999 was named Newcomer Agency of the Year. In all the latest german creative rankings the 150+ agency reaches the 3rd place. Clients include Swisscom, Hornbach DIY, Adidas, Der Stern, Volksbanken Raiffeisenbanken, CNN International, McKinsey, REWE, Burger King, OTTO and Sonic (O2). Guido has judged all international advertising shows. He is a member of the german ADC and the D&AD. Since 2012 HEIMAT has an additional office located in Hamburg. "Guido Heffels lives in Berlin. He has a son, but not a dog. And he most definitely doesn’t play golf. TBWA Worldwide acquire Heimat; Germany's Agency of the year" It was announced that the advertising Network TBWA Worldwide has acquired leading independent advertising agency Heimat having taken a majority share.The German agency was founded in 1999 by partners Matthias von Bechtolsheim, Guido Heffels, and Andreas Mengele, and is one of the country,s leading agencies, with monumental wins at this year's German 2014 ADC Awards amounting to 27 medals, including 5 gold and one Grand Pix. It was named "Agency of the Year 2013" by Werben & Verkaufen, "Independent Agency of the Year" at Euro best 2013 and "Best in show" at the Advertising Effectiveness Awards 2014 Von Bechtolsheim will act as chairman the newly formed TBWA Operating Group Germany. As part of the deal all the agency,s founder will keep their roles at the company and will retain large minority shares. It will also keep its original name. 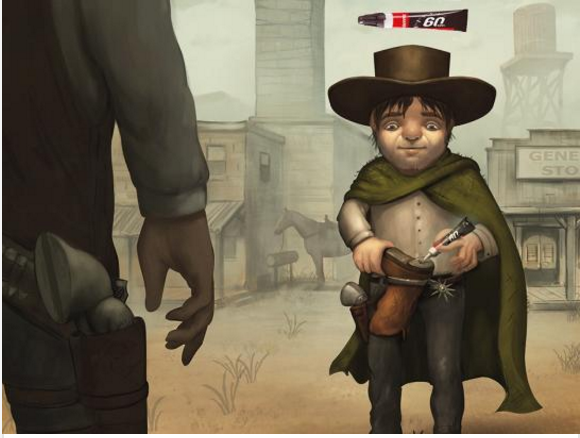 Here is one of the most recent ads from the agency. Was born David Mallett in 1964 and lived with his mother in Hornsey, North London He was born in 1964 he is 51 year old before moving to Devon aged 5 with his mother and stepfather. 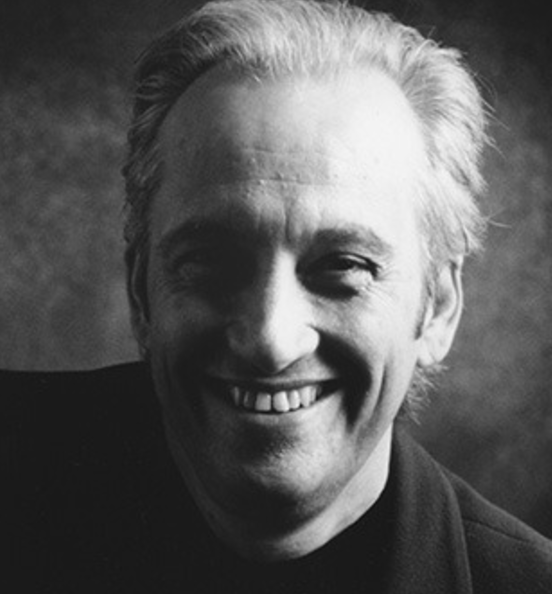 He attended King Edward VI Comprehensive School in Totnes, Devon and lived in Bristol and Gloucester before returning to London in 1990 to study acting at Webber Douglas Academy of Dramatic About David Kennedy: Something you may not have known about David Kennedy is that he was born David Mallett. Relation to Timmy? We're yet to ascertain. 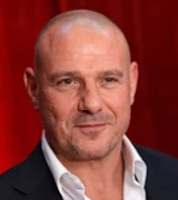 He's also appeared in loads of films and telly shows, including Ashes to Ashes, Trial, and Retribution, Ultimate Force, The Bill, Waking The Dead, Reign of Fire and more. He's even been in a film with Steven Seagal, called Attack Force. Lee Clow has been making advertising for almost 40 years. He says he loves “telling the stories brands to have to tell.” Lee believes advertising is art—media art. As he says, “It must make you feel something. It can make you laugh or cry or surprise you or inform you, but you must want to watch it.” Chairman and chief creative officer of TBWAChiatDay worldwide is a surfer, a dog fanatic, and the man behind the Apple ads. His landmark “1984” commercial, which introduced the revolutionary Macintosh personal computer without even actually showing the product, aired just once, during the Super Bowl, but is considered one of the best ads ever made. While encouraging a whole new generation of computer users to “Think Different,” he also helped create well-known campaigns featuring the Energizer Bunny and the current campaign for the Apple iPod. For “Art & Copy” Clow was interviewed at the TBWA Los Angeles office and at Media Arts Lab, the inner sanctum for Apple’s advertising team. He is also seen briefly at his Los Angeles home and at a nearby beach chasing seagulls. 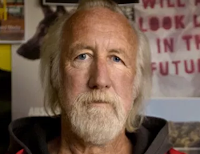 Lee Clow: Good advertising is a dialog with people. Other greats appear briefly in the film, including Cliff Freeman, creator of such well-known slogans as Wendy's "Where's the Beef ?” and Mounds/Almond Joy's "Sometimes you feel like a nut… sometimes you don't.”; and Jim Durfee, one of the original partners of the legendary Carl Ally agency, who helped launch Federal Express and MCI and wrote the groundbreaking work for Volvo and Hertz. The TV still is part of a living style, it is true is dropping a number of audiences, but for families, the television is a very good element to keeping families together. based in the last Consumer Electronics Show in las Vegas this year, The consumers are shaping up more interest in shopping the new trends in TV in this year. based in new revolutionize development that is implemented the will give consumer better choices and important changes the are available. For a sample, TV is getting bigger, better and prices going down, with technologies such as new twists on quantum dots helping bring LCD TVs closer to OLED TV display performance which has more vibrant color and darker blacks. The Older generations are very in touch with their TV programs that will make to keep our device be around for a long time. The Dodge Viper 2017 is projected to sell many thousand before Chrysler announced that they will close down this edition of 2017.
the 2017 edition is one of the most redesigned, beautiful styles and freshly look the viper seen more power with 640 horsepower and 600 lb-ft of torque, to be exact from its gigantic 8.4 liters 10 cylinder engine. the Viper also enjoys chassis refinements, the interior has a special optional package. After Fiat Chrysler Automobiles announced that 2017 would be the last model year for the Viper, I suggested a wealthy collector, or perhaps a group of Viper dealers, could conceivably keep the V10-powered supercar alive. Under my creative content, I will begin my inspiring campaign with a billboard in a way my product connect with my major career and send it a clear message. My billboard is going to be displayed through the city a total of six copy the will be placed in very specific locations like, enter and exit the city. Billboards through the city will constantly welcome the consumer with confidence that the new, 2017 Dodge Viper is not only better than ever but is finally as appealing in person as it is on paper. All boards will be posted in place for nice straight months. This will give enough time to prepare the campaign for the next years. Most of another type of Advertisement will follow the same concept of the billboard Idea. 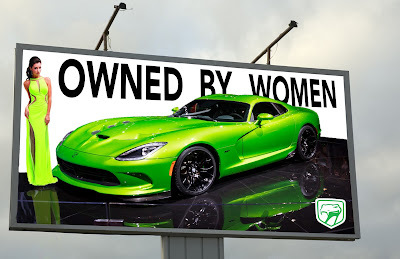 Another way to seduce women by creating very feminine billboards, through the main locations where are more women demographics. Over a few generations, the Viper's grown up a lot. It's become a more balanced machine, with a better interior, better tire choices, and the all-important stability and traction control that make it usable in everyday driving. That doesn't mean it's no longer a bad boy—just one with better manners.The current Viper dates back to the 2013 model year, and 2017 will be the car's last model year. To commemorate the end of production, as well as the car's 25th anniversary, Dodge has introduced a series of six special edition models. As a professional, creative and enthusiastic Fashion Designer, I have been committed to performing fashion designing tasks efficiently. I possess the experience, ability and the right skillset to create masterpieces. I will have in consideration that you as a customer have the best service possible in your choice to work with Aceves Brand. I will work directly with you as my only customer, making sure to provide proper and accurate designs that best fit your expectations. Since I will have the opportunity to work with you, everything will be planned out very meticulously. One of my expertise is to create tech packs that are necessary to provide proper factory instructions, for your sample designs. To best serve the interpretation of your own style, I will deliver my best work. I will be fascinated by working with the best color, fabric, texture and materials necessary to complete the garment of your dreams. © Salvador Aceves 2017. Picture Window theme. Powered by Blogger.